Alter Ego, A Poke Theory's Second Concept @ Esplanade Waterfront | JACQSOWHAT: Food. Travel. Lifestyle. The cafe and bar features an interior design which blends rustic and industrial elements nicely, it is also decked in shades of wood and dark colors, including a huge wall at the corner that is personally drawn by a local student. Apart from craft beers and alcoholic beverages, there were interesting drinks like this - flavored coconut milk drink. The Matcha and Chocolate ones $5 we had were rather normal, do try Chai as recommended. If you swing by in the day between 11am - 8pm, you can expect to find similar offerings to that at A Poke Theory, yes their Poke Bowls is also available here on top of their all day menu. We had 2 out of 5 bowls and the folks have proven that clean eating can be tasty and desirable too. The signature Original Poke Shaker S$16 consists of Shoyu salmon on sushi rice, avocado, roasted cashews and a pick of fresh ingredients topped with ikura; this combination works great for me otherwise you can spice things up with Dynamite Kickin' S$15 that comes with spicy mayo tuna instead. BUT if you're a huge fan of avocado, you need to get the Green Goddess S$13 (Vegan) - the lime avocado is for sure addictive. The 'indulge dirty' menu includes a couple of bar grub and snacks that works as a complement to any craft beers or drinks. The Pulled Pork Dip S$11 was a crowd pleaser, featuring tender kalua pork in spicy gochujang sauce, served with toasted pita bread. The bread texture was soft and chewy, having it alone was good enough. 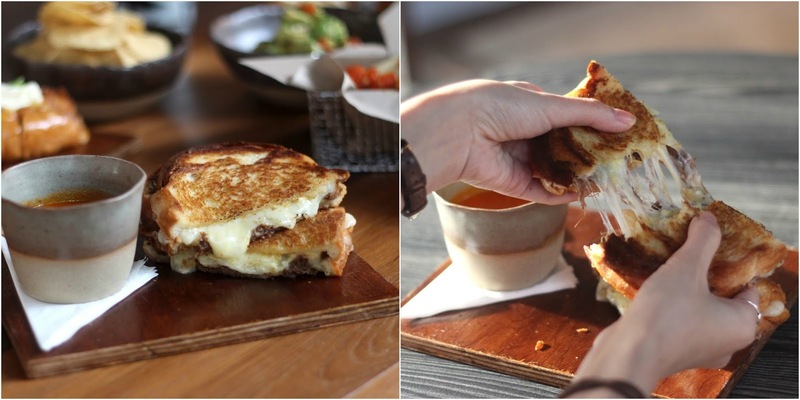 For all that #cheesepull goals, here's Grilled Cheese S$11 - your choice of Gruyere or Taleggio cheese sandwiched between white loaves. So who can withstand cheese strands that stretch seductively from a sandwich? That 'money shot' on the right is for the cheesiness in you while you salivate. Another worth mentioning dish is this Pizza Fries S$14, topped with pepperoni and three-cheese sauce. Oh yes, another cheesy dish. Do dip them in the house-made bacon ketchup for some extra flavours. 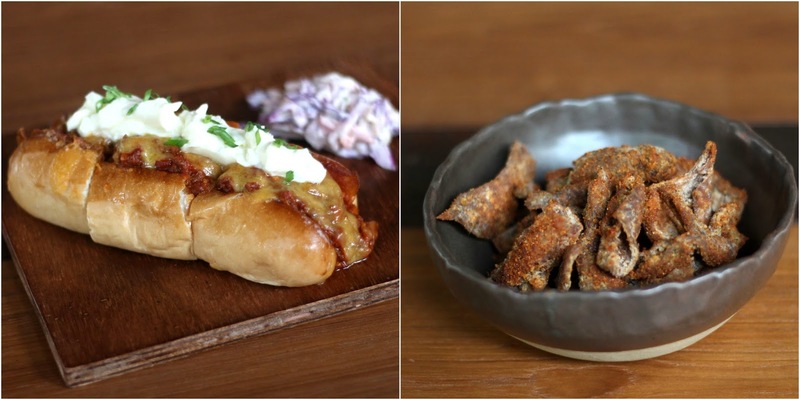 Other bites also include Chilli Cheese Dog S$14 and Fried Chicken Skin $8. The highlight of the chilli cheese dog was the spicy house-made beef mince and melted cheddar cheese, it packs the flavour well as a whole. While the fried chicken skin on the other hand was actually rather addictive, best to have it with a bottle of beer though! When it comes to desserts, Alter Ego has also categorized them into 'Clean' and 'Dirty', great for those healthy-minded to watch your calories. Eating clean includes their signature smoothie bowls - like Blackberry Binge S$6 and Cacaoholic Smoothie S$6. I had the latter which consists of soy milk, blend of bananas, blueberries, quinoa puffs, dark chocolate and coconut drizzle. Don't they sound very healthy? I'm definitely not one to enjoy this. Where else indulging 'dirty' was Berries & Cream S$11, literally. It is a bowl of macerated strawberries and raspberries, served with lashings of house-made chantilly cream, yes leave your diets behind. Alter Ego is a prime example that city location doesn't necessary means expensive food, and they have certainly score in terms of affordability. It is indeed an ideal spot to unwind (no coffee though, for now) in this rather laid back and spacious restaurant, and by dawn you can expect a selection of alcoholic beverages, alongside with bar grub.